Rosenberg, Charles. 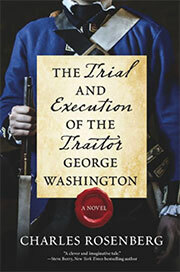 The Trial and Execution of the Traitor George Washington . Hanover Square 2018. What if: George Washington was captured by the British. Published: Hanover Square 2018 (1335200320w88 android).